It all started in Dunnes Stores on Thursday night, November 3rd 2016. I was wrestling with my groceries trolley, trying to steer it through the freezer section, jamming in as much as I could for the twenty kids coming to Lucy’s seventh birthday party the following Saturday, when I got a message from Paul Tierney, chief coach with the Go Tri Adventure Club, reminding me that entry to the Art O’Neill Ultra adventure race – 53k – was open. I won’t go into the details but let’s just say about five minutes later I was crouched down between the trolley and the edge of the aisle, jammed up against rows of Kerrygold butter, filling out the registration form online, on my phone. I’d been toying with the idea anyway, as I’d seen photos of the Go Tri Adventure lads doing the event in January 2016, and anything that involves mountains and running … well, I’m there if I can at all. Besides that, this challenge was connected to history. The route follows the path taken by three prisoners who made a bid for escape from Dublin castle at one a.m. on the night of January 6th, 1592 – Art O’Neill, his brother Henry, and Red Hugh O’Donnell. They were hoping to reach relative safety in Glenmalure Valley over fifty kilometers away, but, undernourished and ill-equipped, the brutal elements of a freezing Irish Winter conspiring against them, Art O’Neill died, only miles from his end goal in Glenmalure. The idea that we would follow their path intrigued me. Plus running 30k through the streets of Dublin and then another 23k over the Wicklow mountains, possibly covered in snow, in the dark and in the middle of the night. This definitely had my name on it. I was in. Preparations were slow to get started. I started doing longer runs but the crazy Christmas season kicked in, and with it came a hectic schedule that did not allow for night runs or days away on the mountains. Every time I thought of the head torch tucked away in it’s box on the shelves at home, I’d get a flutter of nerves. But, then, I got the ‘bad news’ e-mail. I didn’t make the lottery. I wasn’t in. In the back of my mind, I held out, hoping there would be later rounds. I’d started to get psyched up for this event and I was disappointed now. I kept doing the longer runs. Fingers crossed. And sure enough, a couple of weeks later, I got the ‘good news’ email. I was back in the race. Training was hit and miss through the blur of Christmas. I squashed in as many miles as I could in between boxes of chocolate and bottles of wine. Finally, I was able to get away to do the recce with the others. 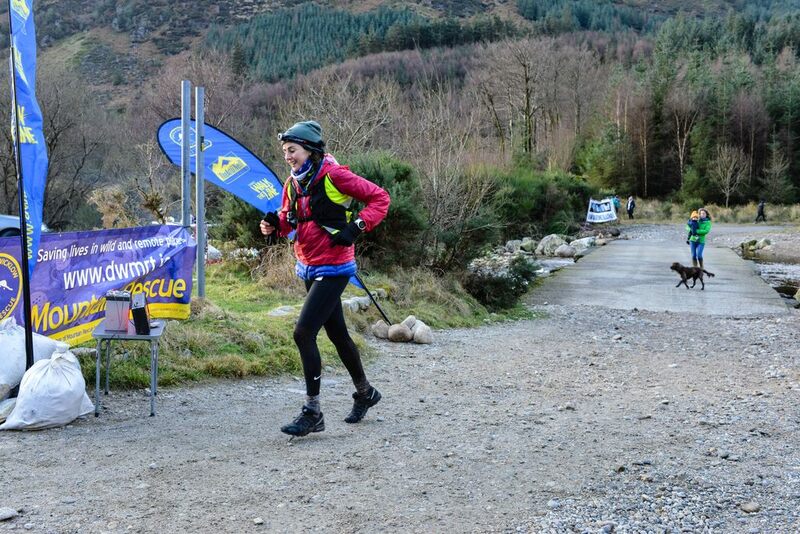 Paul organised a group of us to set off for the Wicklow mountains on the 28th of December including Des, Eimear and myself – ‘the newbies,’ doing an Ultra Adventure race for the first time. I was thrilled. Time to test run the course, power up the head torch. What a day of discovery. So much was wrong: my clothes, the race bag, the food, the amount of water I carried, no waterproof cover for the phone, non-waterproof gloves. I finished the day with a long list forming in my mind of what I needed to learn (mostly navigation skills using the ViewRanger app on my phone), tips and tricks the more experienced racers shared with us (power down your phone to save battery, keep your torch at a low setting, use landmarks for bearings), invaluable tactics Paul coached us on (don’t stay too long in the checkpoints, keep going on the mountains or you’ll get cold, wear merino wool base layers) and oh yeah, stuff I needed to buy: lots and lots of kit! So that was the start of the lists. For the next two weeks I lived with lists, ticking and checking them every day. My mind was buzzing. Proper planning and preparation was going to be vital to actually survive this race. And what better excuse than that to start spending money – this was live or die! There was mandatory kit, recommended kit, kit to be carried for the entire race, kit to collect at Checkpoint 1 for the mountains. Money had to be spent. This was dangerous! Okaaaaaaay, moving along swiftly, the Saturday night before the race we took to Moylussa in Killaloe (Kate, I’m really sorry you missed your GAA awards night because of this. I owe you big time). We had to test our navigation skills using the ViewRanger app on the phone while running with the head torch in the dark. This was going to be my only chance to practice before race night. I must say, I loved it. Running across mountains on a Saturday night. A curry waiting for me in the slow cooker at home. The lights of Killaloe twinkling below us beside the lake. It was magical. The scary trees in the woods at the top of Moylussa were not magical though. They had this creepy, droopy look to them, as though they were filled with badness, watching us. Some of them had fallen over and we had to crawl under them, our faces to the ground, while Alan (I could have killed him) gleefully launched into talk of spiders and bugs and the Blair Witch Project as the wilted, gnarly arms of the trees brushed my hair and scraped my face. It was not long after the ‘I’m a Celebrity’ series finished. My kids had been glued to this, so I’d suffered watching a lot of the creepy crawly tests. I was not well. The good news was that I was getting the hang of using the ViewRanger app and following the line of the route on my phone: zoom in, stay close to the blue line, the red line marks your direction, keep moving, the black line shows the path you’ve done, stick to the blue line. It was all coming together. And it felt good, until my phone ran out of power. Precious minutes were wasted standing still in the cold, Des helping me to unearth my new phone battery charger from the ‘too-many-zips’ backpack I was still using (the new backpack hadn’t arrived yet, and thanks Des, you were always there helping!) Shock. Horror. The cable had the wrong attachment for my phone. Oh no! I was livid with the shop assistant who had insisted, like really insisted, even when I’d pressed it, that this cable would work with my phone. I’d even asked to take the cable out of the box and test it right there in the shop, but, she’d moved on to another customer. It seemed like no matter how much I planned and prepared there was always something coming out of left wing that caught me. And I was missing Kate’s GAA awards night because of this. What was I doing? I knew Paul Tierney was worried. Having done this Ultra five times already he knew the dangers that lay ahead. I must have looked like a complete flake, like I wouldn’t even be able to navigate across a golf course. To make it worse, I was making light of it, joking around about getting lost. Appearing not to understand the seriousness of the situation at all. That’s what I do when I’m nervous or scared, I start to laugh. Get that! Gets me into all kinds of trouble. Like one day when I reversed into my husband Paul’s car by accident and then proceeded to laugh while he watched in horror. I couldn’t help it. It was awful! Anyways, I’m sorry Paul Tierney for any worry I may have caused you, and thank you so much for hanging in there with us. We couldn’t have been better prepared when race day finally came. There was nothing for it at this stage but to put the head down and keep going. Mental note: new item to add back on the list: sort cable and battery charger for navigating with the phone. So, finally, Friday the 13th came round. Yeah, I know, Friday the 13th. I didn’t dwell on it. I nearly hadn’t been able to leave the house on Friday afternoon I was so freaked out about leaving something critical behind, like the phone or my trail running shoes, or head torch. To me this was the start of the race. I met up with the others at Finnegan’s on the Dublin Rd. at 5.30pm, Des very kindly offering to do chauffeur up and back to the event. We drove to Junction 14 (Alan beside Des in the front, Eimear and myself in the back) where we joined up with more of the crew and then we followed Joe going towards Glenmalure. The plan was for everyone to drop their cars at Glenmalure and then get a mini-bus back to the start at Dublin Castle. The journey was relaxed enough until we hit ice going over the last pass in the mountains before descending into Glenmalure. Des’s car started skidding backwards and so did Joe’s, only fifty meters in front. For a moment I thought Joe’s car was going to crash into Des’s car and we were all going to end up sandwiched in a tangled mess careering over the edge, never getting to the race. It was scary. Eimear and I got out and tried to steer Des’s lovely Volvo away from the edge as it rolled back down the hill, both of us exclaiming in horror, ‘How are we going to run on roads like this?’ It was like an ice-rink. There were a few tentative moments when it appeared as though we might not even make it to the start line. As it turned out, Joe made a second attempt at taking the hill at high speed, and succeeded in launching his Ford Mondeo up and over the top, while none of us in Des’s car had an appetite for sliding back down the hill again in the event of a second failed attempt so we followed directions from a lady in a nearby house and took a different route around the side of the mountain to get to Glenmalure. We arrived rattled and jittery, an hour late. The mini-bus was parked outside Glenmalure Lodge packed with a gang of restless lads rearing to go. But, they were perfect gentlemen. ‘Take you’re time,’ ‘no panic,’ ‘don’t forget the important stuff,’ ‘we’ve got time,’ they said, kindly. But, there was tension in the air. We were very late, way behind schedule. My heart was in my mouth. ‘Bag panic’ instantly kicked in. This was like the first transition. Time to get moving. Right. Take off big coat. Put on stormshell jacket. Pull over high-vis vest. Bring running Camelback for 30k. Put on headband and hat. Fix head torch. Leave bag for end of race in Des’s car. Bring bag for Checkpoint 1. Bring food bag for Dublin Castle. I’d been through it over and over in my mind in the previous few days, but nothing makes it easy. There are so many things to remember, only seconds to spare, focus, focus, remember the list. If you forget something critical you’re in trouble. Click, tie, snap, knot, fix, close, bang, move. I cast one last glance at the coconut macaroons in the bag I was leaving in Des’s car, my incentive to get to the Finish Line. In that second the whole concept of Finish Line felt like something I would never, ever, not in a million years reach. It was so far away, like in a different Universe. Break it down, I said to myself. This is just like everything else. One small step at a time. Just think about the next step. Ok, right now, the journey to Dublin Castle. Minutes later I was on the bus, flashes of Catniss Everdeen passing through my mind. Was this a bit like The Hunger Games? Survival in The Arena? I almost wondered about having a bow and arrow in the backpack. OK, seriously, Paula – get a grip. Stay focused. Keep it real. The mini-bus high-tailed it out of Glenmalure. The final time for bag drop at Dublin castle was eleven o’clock. This was so that the organisers could bring your bag to Checkpoint 1 (30k into the race) and have it there waiting for you when you arrived. It looked like we might arrive at registration with less than fifteen minutes to spare. The lads were going to ring ahead and explain. There were twelve of us. I tried to go into ‘shut-down’ on the journey, anything to conserve energy, so I half-dozed, watching sleepily as the quiet black mountains rolled down to lit-up motorways and then after a few more minutes, shop fronts and flashing signs began to appear along footpaths filled with shiny-faced party-goers in high heeled shoes and short skirts. Oh, to be just glammed up and out, I thought enviously, as I wriggled my toes in my road runners, I wish I was them, having a few drinks, ready to party. Why am I doing this? Focus, Paula. Focus. We went right to the heart of the city to Dublin Castle, the freezing night air biting my face as I jumped off the steps of the bus. We shuffled in along the cobble-stoned courtyard to the castle, bags falling off all our shoulders. Music was blaring from two huge loudspeakers at the center of the open area and a trickle of people huddled in front of a food stall that was handing out tea, coffee, sports bars and porridge. The next bit I’ve heard described as the ‘hassle in the castle.’ There are four stations to get to: registration, t-shirt collection, timing chips, kit check and then bag drop. Yes, it was mayhem. There were queues everywhere, athletes milling about, bags strewn on the floor, kit piles in every corner, it was chaos, but, good organised chaos if you know what I mean. It was ten to eleven by now, and the lady at registration said final bag drop was at eleven. Right, back to ‘Bag Panic.’ I whipped out my food bag, grub to eat before the race, checked everything once more, flew threw the check-in stations and dropped the bag at the bag drop area in jig time. It wasn’t so bad after all. I was starting to think all the planning was finally paying off. The coffee was probably questionable before a race, but there was no way I was inflicting all this pain on myself without indulging in one last cuppa. And it was just lovely. We all chit chatted. I tried to lie down on three chairs lined up together but sleep was never going to happen. As I lay there, I thought about Art O’Neill, and what it must have been like for him and his prison mates on the night of their escape all those years ago. I was all set with layers of clothes, merino wool, plenty of snacks and drinks, and good runners. We all had head torches, hats and gloves. They had nothing. Poor Art, he never stood a chance, really. There is nothing more deadly than the cold when it gets into your bones on the top of an open mountain. And to have been starving and exhausted starting out. His suffering didn’t bear thinking about. Things revved up at about twenty to one. Time to get going. Last minute loo stop. Fix the head torch. Pull on the gloves. At five minutes to one we trooped out the main entranceway, the freezing air engulfing us. ‘Dib here, Dib here,’ the marshals beckoned us to clock in for time. We gathered out in the courtyard, jumping, squatting and stretching to the music, trying to keep warm. Two minutes to go. Let’s get a photo. ‘Good luck, everyone, good luck, good luck.’ Then SNAP! My ankle cracked loudly as I stumbled sideways on the cobblelock and my leg went from under me. ‘Ouuuuuuuch,’ I slumped down as an excruciating pain shot up through my calf. Waves of it: hot, throbbing, pain. ‘Are you ok?’ Eimear was beside me. ‘OK, twenty seconds to go,’ the starter announced. I hobbled around slowly for a few seconds, willing the throbbing to subside, which it did, thank God. And then we were off, running out through the gates of the castle. ‘I’m fine,’ I said, ‘it seems to be ok for now.’ Thank God for CrossFit was all I could think. I was going to need every second of resistance training I’d ever done to kick in to hold the tendons and ligaments and whatever else around my ankle together for the next eight to nine hours. We cruised out of the city, along Patrick St., Clanbrassil Street, right at harold’s Cross, right at the The Blue Haven Pub. We passed over the M50, through Old Bawn and started to leave the city and the lights and footpaths behind. There was a Garda presence at every major street junction, stopping traffic, ushering us along. It was nice. I found my stride. Got comfortable. Des set the pace, pushing a bit faster than Eimear and I probably would have gone on our own. There were no major uphills. Through Bohernabreena and past the bridge we turned left at Stone Cross. This was called Checkpoint Zero, a milestone position, 15k into the first 30k run. There was no stopping. From here we launched into the second 15 k and it was up and up all the way. We were getting into the mountains. I had to turn on the headtorch. We caught up with Jim and Daniel. ‘There’s our boys,’ Eimear said. ‘You go on up with them.’ I decided to give it a go. We had to run on the verges of the roads as they were too slippy. Past the Army Camp and Ballysmuttan Bridge, I was feeling good, better than I’d expected. I had fallen in sync with a guy called Gavin, a software developer from Dublin (Hi Gavin, if you’re ever reading this!). We ran the last 6k together towards Checkpoint 1 and seemed to be averaging the same pace. We agreed to head out together onto the mountain after the stop at Ballynultagh Woods. My biggest concern was making sure I was with people on the mountain. I did not want to be on my own navigating in the dark. Checkpoint 1 did have the ‘gingerbread house in the woods,’ feel to it. It was so warm and welcoming, roaring fires, hot food and fairy lights, yet, it felt almost like a trap. There were so many more hours on the mountains ahead. You’re the first lady,’ the marshal said to me as he handed me my bag. Ok, the race was on. I dragged my bag over to the blazing fires. My fingers were numb so I struggled to get my runners off. When I opened the top of the rucksack everything spilled out on the ground. It was hard to do anything with my hands so cold. I could barely get the dry socks on. Trying to squash everything back into the bag was almost impossible. My gear was getting mixed up with everybody else’s and I’d barely any time to grab hot soup and a roll. I stuffed a banana in my mouth, downed two mouthfuls of soup, handed my bag back to the marshals and caught up with Gavin who was waiting to go again. 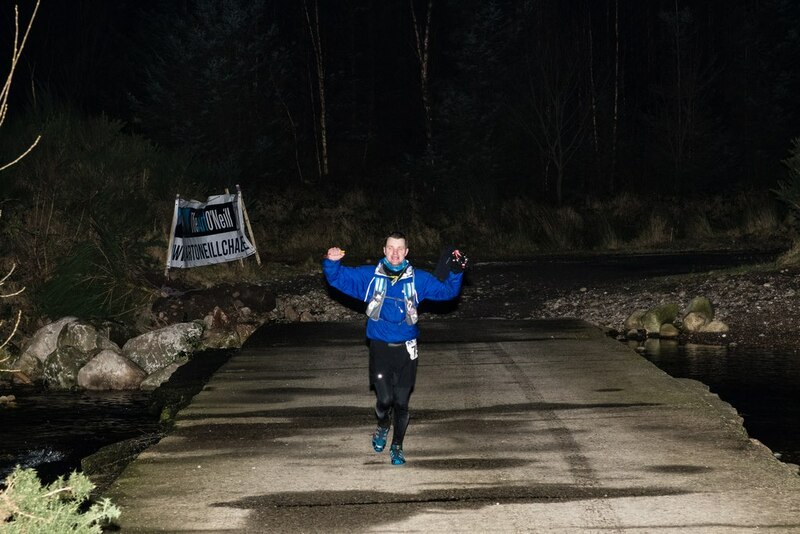 Those first few steps out into the cold from Checkpoint 1 were very scary. My body had warmed from the fire but not my hands and feet, and I suddenly noticed I’d started to slip into that ‘seizing up’ zone which normally happens after a long, tough run. Would I be able to get through this? I could almost feel the hostility of the cold and the snow glaring at me. We pushed on towards what I knew was going to be the toughest part of the challenge. It was probably somewhere between four and half past four in the morning, we were running down a snow covered track lined on each side with the shadows of Christmas trees, heading towards a steep uphill climb out on to the first mountain. I remembered this from the recce. I had my phone out now and the ViewRanger app up and running. It was time to start navigating. My biggest fear was not being able to keep up with Gavin. And damn, damn, damn the nightmare became reality. I couldn’t stick with him. I had been warned, and it was my own fault. I had decided to go out on a limb and try and sync in with people going at my own pace. But, that’s like gambling. You’re not going to find out you can’t keep up with them until it’s too late. And that’s the risk you take. We stalled and started, and Gavin waited at first, but it became very clear very quickly that he was stronger than me on the mountain terrain. I was not going to be able to stay with him. Two other guys came along, racing past us, and Gavin fell in with them. I was glad he went. I know the game, I was playing it myself, trying to give it my all. Do as good as I could do. I And I’d have hated to have held him back. This was his race too. I wished him well. Bye Gavin, best of luck, buddy. (That’s CrossFit speak, by the way, all-American). So now, Holy Crap, I was on my own. Suddenly, there was nobody in sight. Visibility was poor. There was a mist hovering over the snow. I trudged along, slowing a bit, following my line, scanning everywhere for other torch lights. I couldn’t see any. Surely, others would come along behind me? Where were they? This gamble was now seriously backfiring. Things were not looking good. It was like the mountain had suddenly turned sinister. After a few minutes, a line of lights snaking through the fog came towards me. It was a group of people trekking. 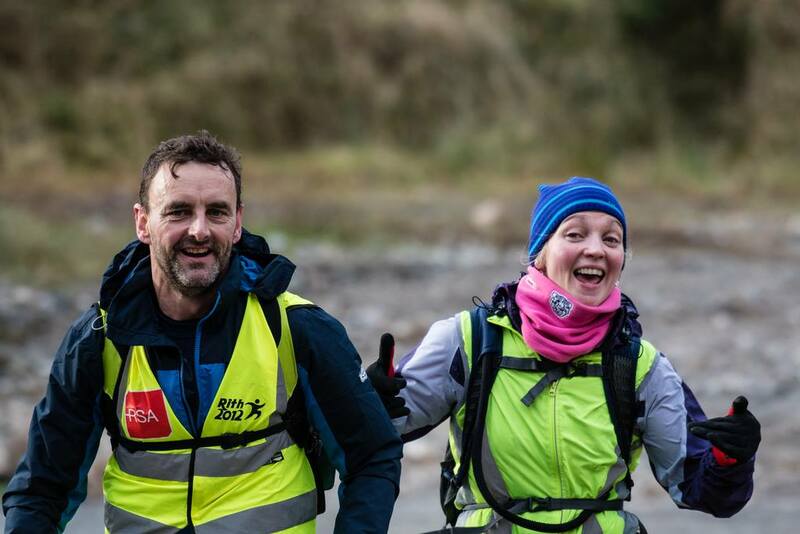 They were not participating in the Art O’Neill event itself, they were hiking along a route map given to them by Eoin Keith, a legendary winner of the Art O’Neill race and record breaker for mountain running in the Wicklow mountains. I think they’d been out since 10 p.m. Their route tracked a similar enough path to mine, except maybe at a two hundred meter parallel line. They assured me they would be passing Checkpoint 2 and also ending at Glenmalure. So, I decided to stick with them. It was the only thing to do. These trekkers were the kindest bunch. They didn’t mind me slotting in, I took my place in the line and marched on. Their navigation line moved away from mine, but there was nothing I could do but follow them. I did not want to be on my own. And I felt I’d gone too far to go back. I couldn’t face turning round and moving backwards. I tucked my phone away. I’d have to trust them. After what must have been ten, maybe fifteen minutes, I could feel my body temperature plummeting. I was geared up to be going at a much faster pace in running leggings and a light stormshell jacket. They were wearing heavy waterproof trousers, gaiters, hiking boots and thick, fleece-lined, full-on what looked to me like ski jackets. They had generous rucksacks filled with extra gear on their backs and even one or two of them had let their tea-cosy sized gloves hang loose. I was freezing. As each minute passed I could feel the cold seeping deeper below my skin. There were frequent stops to regroup and navigate. Soon, I couldn’t feel my feet, and my fingers ached, numb and sore. My gloves were damp. They felt like ice-packs on my hands. I wiggled my fingers free inside the gloves and tried clamping them open and shut, open and shut to warm them up. It was impossible. I was getting steadily colder. I didn’t want to say anything to them, but, in the end, after much silent procrastination, I did. I couldn’t bear it any longer. They hardly blinked. They were all instantly peeling off their rucksacks, offering me a coat. One of them, I think his name was Gerry (so sorry I can’t remember your names, please contact me if you ever read this) gave me a Rab outer shell coat. It was like a gift from heaven. We continued trekking down into the valley, me constantly scanning the mountainsides for torch lights. Why couldn’t we see any of the others? This was bugging me the whole time. I felt like we were miles away from the route because I couldn’t see anybody. Soon, bits of the silhouetted landscape, blotted against the night sky began to look familiar to me. I remembered things from the day of the recce in December. And there, look, finally, a torch light. But, it was so far away! Where were we? Progress was painstakingly slow. I felt like I wasn’t in the race anymore. I didn’t know the route we were following, I couldn’t see any others, and I was in agony with the cold. No offence to the friendliest, kindest trekkers you could ever meet, but I needed to get moving faster again, badly. I was shivering now, my teeth chattering, that slow, dull way of thinking coming over me like a kind of brain freeze. ‘Just keep going, Paula. Just keep going. You never know what comes around the next corner. Just keep going.’ It was all I could think. And that’s what I did. I put one frozen foot in front of the other, again and again, willing this seemingly never-ending and excruciating journey to come to an end with every step, hoping against hope that somewhere along the path my luck would turn. Funny, I thought – isn’t this just like life – just keep going. After another hour I was back to seriously freezing. I was really scared now of getting to that desperately low core body temperature from which you just can’t warm up again. I very sheepishly asked my friend, Gerry (again, I’m not sure of your name, but I hope, if you ever read this, you know who you are, and please contact me) did he have any more layers in the rucksack and he ended up peeling off his own ‘thermoball’ gilet thing and insisted I wear it. He then pulled another jacket out of the rucksack for himself. He told me to put the thermoball thing on under the outer shell. I could barely do zips. Gloves on, gloves off, it was all getting just that little bit too difficult. More torch lights swarmed around us now. We came to a river. There was a group chat. Yes, cross the river. We crossed the river and began climbing again on the other side. I felt like finally we were falling into line with the others in the race. There was mention of Checkpoint 2 up ahead. We were coming to a road. My spirits lifted. And then someone called my name. It was Loren. Alleluia! Gerry let me keep the ‘thermoball’ gilet under my stormshell rainjacket and he took back the outer shell coat. ‘Leave it for me at the coffee dock at the end,’ he said kindly, as we did our ‘goodbyes,’ and ‘good luck.’ The sound of those two words, ‘coffee dock,’ was nearly enough to beam me to the Finish Line at that stage. Myself and Loren took off running. It felt so good to be moving again. A tingling sensation came back into my hands and feet. Hurrah! Everything was going to be ok again. I was back in the race and I was not about to freeze to death. There were even vague streaks of light beginning to thread the sky. Then, out of nowhere, Loren offered me a Snickers bar. Yes! Even better than The Milky Way. It was like handing me rocket fuel. I savaged it down and left the empty coffee cup on the ambulance car as we ran out of the Checkpoint. The leading lady, they told me, was gone on ahead. Loren’s hip was at him and he told me to try and keep with these three guys that had just fallen into step beside us. Again, useless to remember names on the day, I’ve just checked the results page, and I’m reckoning ye were Ivan, Kevin and Gordon? Thank you so much for letting me tag along with ye! We had 13k left to do on more open mountain, passing close enough to Art’s cross before descending to the finish at Barravore. This had been described somewhere along the way as the hardest section of the course. The light was good now, and this kind of lifted me in every way. I didn’t want to leave Loren, and my phone was dead by now. But, these three surely knew where they were going, and there were only two ‘ish’ hours left to do. I felt strong. I was back on track and I felt confident that I’d be able to keep up with them. Sure why not? I’d come this far. I’d give it a go. The lads took off straight into a short cut. I remembered where we were now from the Recce. I was thrilled they knew short cuts. Things were definitely picking up. We crossed the river straight away and began ascending the mountain on the other side. The lads were convinced this was the shortest way. I followed them, thrilled that we were shaving off time. I’d lost so much of it on the middle section. During the recce we’d stayed left of the river and gone much further up before we crossed. But, if these guys had recce’d it earlier in the week, sure wasn’t this marvellous. The one at the back struggled a bit for a while. There were repeated rounds of expletives and strange yelping noises. He would roar at the two in front to wait up while they yelled back at him to get a move on. When he’d catch up with us, he’d tell them they were mean, and they’d remind him that his mother always told him not to be calling people mean. Something like that. I couldn’t follow it. But, get this. I couldn’t believe it. I was actually having a laugh. Was this for real? The last two hours of an Ultra. The first hour ticked past, then another twenty minutes. It started to get hairy. We were getting tired. The lads were starting to doubt their track. We’d climb over ridges thinking we’d see a sign of the three lakes on the other side, but, nothing, just a whole new set of ridges to climb. Disagreement began to break out about which was the right direction. I started to think we were lost again. Oh no! Please, no! Disaster! We kept going but I decided to try and put the new phone battery charger to the test. If only we could get a bearing on the map, find out exactly where we were. Maybe it was time to benefit from that mistake in Moylussa when I’d discovered the cable for the phone wasn’t right. I’d made sure I had the right cable today. I plugged in the phone and watched in desperation as nothing appeared to happen. It didn’t even look like it was charging. Damn, damn, damn. I left it plugged in anyway, the picture of the battery on the face of the phone showing the thinnest red line for power, but no voltage sign to signify the phone was being charged. We scaled another ridge. More discussion about the direction we were going in. I was sure we were well lost by now. Then, ‘bing,’ my phone powered on. Yes! I was able to pinpoint us on the map and it turned out we were bang on. Within minutes we were at the three lakes and from there it was downhill on Table Mountain all the way home. My heart sang. I had another mouthful of jelly beans to celebrate. The lads took off like wild horses, chasing after one another, killing themselves to see which one would be first to the Finish Line. I followed as best I could but there was no keeping up with them now that they were going at breakneck speed. I could see the evergreen trees where we would emerge onto the path that led straight down to the car park. I knew this from the recce. I was safe. I knew the way home. I was going to make it. The macaroons were calling out to me. I thought the last path down to the car park was only about four hundred metres. I remembered running it when we did the recce, we feet barely touching the ground. It was my favourite surface, rocky shale and all downhill. It had seemed easy, then. Today though, I felt every step of the way. It was the longest four kilometers I’ve ever run in my life. When I finally got to the car park, well, there are no words for this either. All I could say was: I did it. The Go Tri lads all came up and congratulated me. My Cabinteely friends came up to say ‘well done.’ The photographer asked me could I run in one more time because he hadn’t got the pic at the finish line and I just laughed. A half an hour later, as I was walking into Glenmalure Lodge, I looked down and noticed my right ankle had swollen to about the same size as my knee. Don’t ask me. It never crossed my mind once throughout the course of the entire race. There was no pain. It was only now I remembered it. I finished second lady overall with a time of 8 hours and 42 minutes. I will never forget the adventure. So many people carried me along the way. I wouldn’t have even been there at all if Paul Tierney hadn’t sent me that message on a Thursday night in November when I was pushing my trolley around Dunnes, and I wouldn’t have survived it at all if he hadn’t dragged us around the Wicklow mountains and Moylussa in advance and taught us a few lessons! It is only because there are people like you, Paul, generous with your time and willing to share your experience with others, that doors into this world are opened for people like me, who would only dream of it otherwise. Thank you so much. And Des, you went out of your way to help us at every step, thank you. You ran this race for us more than for yourself. To be honest, your unselfishness shames me. I do hope you go for it yourself next time! Eimear, how lovely to have shared this journey with you, a new friend who knows all about where to get fab earrings and online shopping on the Zara website! Those chats were welcome relief from mandatory kit and discussions on calf-guards. I hope we share many more adventures in the future, although, I’d be terrified to be up against you down in Kilkee in June, Gawd, I wouldn’t see you for dust! And all the lads from Go-Tri adventure, such a great group to be part of. Everybody was willing to share their experience, offer tips and advice and even lend their kit, a whole box of equipment was sent up to Dublin for us with spare head torches, whistles, compasses and emergency blankets. Thanks Dean. And even out in the race, they shared their grub. Thanks Loren. I met so many people along the way. Gavin on the 30k, the trekkers on the first mountain and then Ivan, Gordon and Kevin (I think) on Table Mountain. Thank you all, I couldn’t have done it without you. 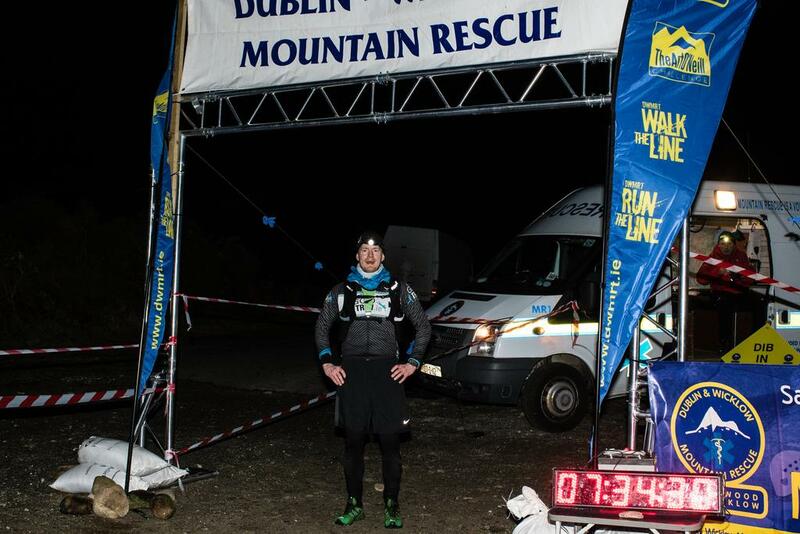 Thanks to Dublin Wicklow Mountain Rescue Team (DWMRT), what an event. It was amazing. A huge thank you to my long-suffering husband, Paul, who very kindly turns a blind eye to the online shopping and the growing mounds of equipment that gather in every corner of the house and all the madness that comes with the run-up to these big races. Also, thank you to my beautiful children for putting up with all the disappearances, the haphazard meals and the sometimes-scary state of the house when I’m off training. I am nothing without ye. The best part of every race is coming home to ye. And finally, Art. I think you minded me out there. Thank you, too. Amazing Paula. You are some woman, so courageous & brace. No wonder your family are so proud of you.